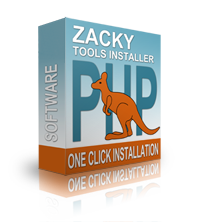 ZackyTools Installer is a FREE software application installer you get with every paid web hosting plan. You can setup any of the following software products with just one click of the mouse: CMS, Web Site Builder, Blog, Discussion Board, eCommerce Solutions. ZackyTools Installer is your helpful assistant - no technical knowledge required! Concrete5 is an open source complete CMS solution that would allow you to build up a site the way you do it with what you see is what you get editor. Concrete5 also provides various of plugins allowing design and functionality scalability to the highest possible extent. OpenCart is a famous and free open source shopping cart solution. Designed feature rich, easy to use, search engine friendly and with a visually appealing interface it is a suitable solution for the ones who are looking to set up an online shop at no cost.